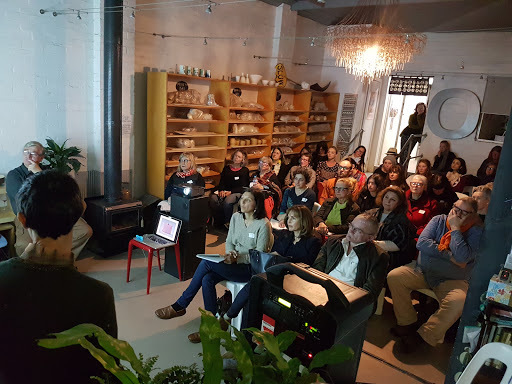 We had a full house on 4 August 2017 for our forum Making International Pathways, in collaboration with Craft Victoria’s Craft Cubed Festival and Garland Magazine and World Crafts Council Australia. The speakers, artists Penny Byrne, Greg Daly and Dean Smith, presented their stories of connection to international exhibiting and some tips for how to get involved and MC Kevin Murray initiated the rich audience Q&A discussion with his insightful and probing questions. Thank you to all who attended and if you missed it, we are currently editing a podcast of the event and will post here once complete.